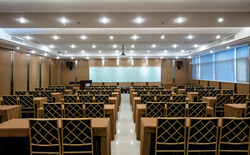 Located ideally in Southeast University, Liuyuan Hotel offers accommodation with parking. Free WiFi is accessible in all areas. Xuanwu Lake is 1.1 miles from Liuyuan Hotel. Confucius Temple is 2.3 miles away. Nanjing Lukou International Airport is 22.4 miles from the property. 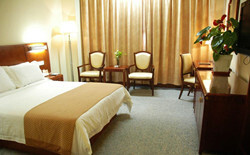 Being air-conditioned, each room in Liuyuan Hotel is fitted with a TV. Some units feature a seating area. Free toiletries, slippers and a hairdryer can be found in the private bathroom. The 24-hour front desk can help with luggage storage and concierge service. Currency exchange is available. 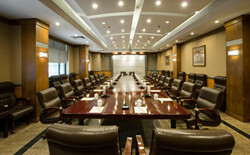 For business travellers' convenience, a business centre with meeting facilities is provided. Guests can avail of fax and photocopying service. The entertainment facilities include karaoke rooms and a fitness centre. Xuan Wu is a great choice for travellers interested in museums, old town exploring and culture. Note: You are suggested to reserve your accommodation in Liu Yuan Hotel or nearby hotel at your earliest convenience.